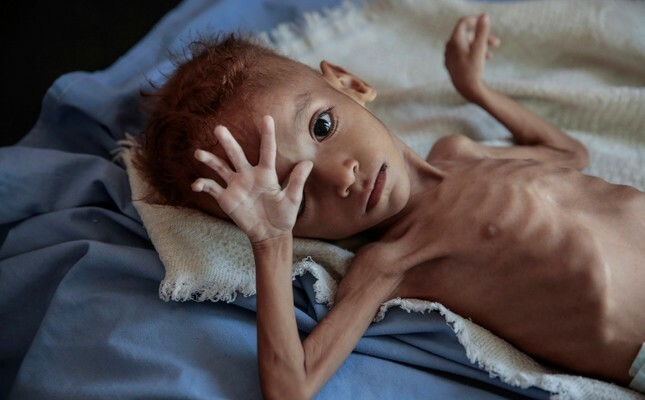 “As many as 20 million Yemenis are food insecure in the world’s worst humanitarian crisis,” a joint statement by the UN’s Food and Agriculture Organization (FAO), the children’s fund UNICEF and the World Food Programmed (WFP) said. “Already 15.9 million people wake up hungry” in Yemen, it said, citing an analysis by the Integrated Food Security Phase Classification (IPC), a food security survey. According to the IPC — whose analysis is necessary to decide whether to declare famine in countries — the 20 million people facing “severe acute food insecurity” represent 67 percent of Yemen’s population. “What the IPC tells us is alarming,” said Lise Grande, UN humanitarian coordinator for Yemen. WFP head David Beasley said the analysis “is an alarm bell that shows hunger is rising”. “We need a massive increase in aid and sustained access to all areas in Yemen in order to rescue millions of Yemenis. If we don’t, we will lose an entire generation of children to hunger,” he warned. The world’s worst humanitarian crisis spiralled in Yemen after a Saudi-led coalition launched an offensive to support the government against Iran-aligned Huthi rebels in March 2015. The armed conflict was at the top of a list of the “key drivers of food insecurity”, which has been further exacerbated by a protracted economic crisis in the impoverished Arab Peninsula country.